Impatient with the conservative participation in its Medicare Shared Savings Program, the Centers for Medicare & Medicaid Services on Thursday proposed an overhaul of its most popular accountable care organization structure. Currently, ACOs can have up to six years without taking on risk, while being granted waivers from certain federal requirements. The new proposal would shorten that window to two years for basic plan participants. The proposal also would offer greater rewards for ACO physicians using telemedicine. 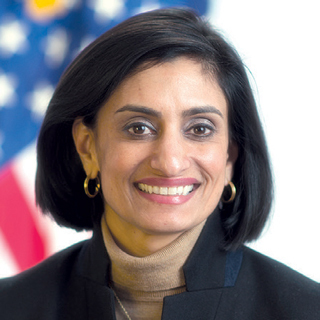 Officials positioned the new “Pathways to Success” program as a stride toward “greater accountability” and “new flexibilities.” They projected it would save the Medicare program $2.2 billion over 10 years. The MSSP was established under the Affordable Care Act and launched in 2012. ACOs link healthcare providers such as nursing homes with clinicians in other settings, such as hospitals and physician practices, in an effort to jointly provide less expensive care. Participants are allowed to divide portions of savings they engineer, a sore point with many long-term care providers, who often feel they are rewarded too lightly. A government analysis of ACO performance revealed that CMS has spent an increasing amount on ACOs. This has occurred, in part, because 460 of the 561 ACOs in the MSSP program “are not taking on risk for increases in cost,” federal health officials said. They can reap bonuses but do not have to pay penalties if they do not create savings. As part of the proposal, CMS has created a six-month extension for ACOs whose agreements are set to expire at the end of this year; there also will be a “special one-time” July 1, 2019, start date (after a spring application period) for new participation options. The Pathways to Success is designed to advance five goals, officials said: accountability, competition, engagement, integrity and quality. Among other things, it would authorize termination of ACOs with multiple years of poor financial performance. CMS is accepting comments on it through mid-October.